This painting was inspired by a cartoon on Neopets. 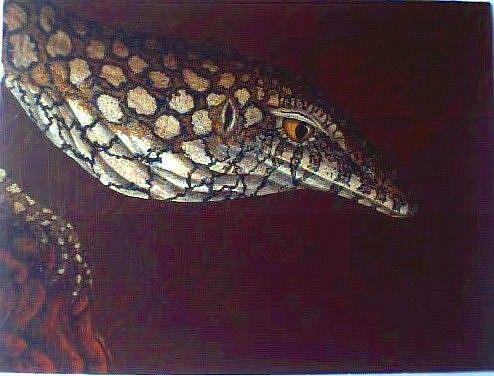 It's a Perentie Monitor Lizard, which lives in the red rock desert of Western & Central Australia. I imagined it slinking through one of the many caves & crevices in the area, searching for a meal.